The condition of your teeth and oral health depends on a large number of factors - from genetics to the food you consume. When it comes to children though, common dental procedures and treatments cannot be directly applied to children. Children are born with milk teeth which gradually fall off and make way for permanent ones. Pediatric dentistry is the branch of dentistry which deals with the dental care of children upto adolescence. Conducting oral health exams for children. Diagnosing various oral diseases specific to children. Do cleanings and treatments like fluoride treatment to prevent any oral infections in children. Counseling to get rid of habits like thumb sucking etc. Interpreting the results of diagnostic tests or x-ray tests. Early assessment to diagnose and treat improper growth of teeth and straighten them. Prevention and repair of tooth cavities, plaque, or decays. Ensuring safe and controlled delivery of anesthetics. Performing surgeries on tooth, gum, or other parts of mouth. Prevention and care of various gum diseases. Fixing dental injuries like broken or fractured teeth. All dentists undergo general pediatric dentistry training during their course. But the ones who specialize in pediatric dentistry know better how to deal with children as compared to others. They are more aware and experienced about dental problems in children and how to treat them. Pediatric dentists also often have special equipments related to dental problems in children. When talking about dental visits, there is also odontophobia and children might be very scared initially to visit the dentist or get treated. 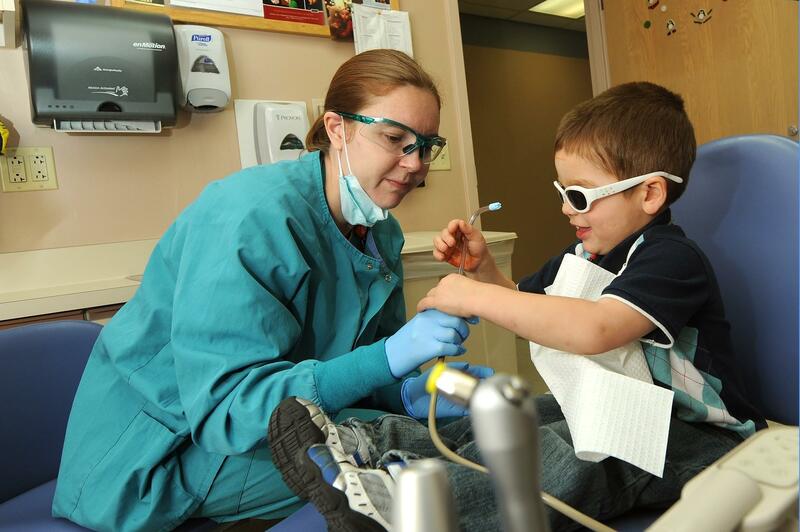 A pediatric dentist will also know the behavioral challenges that come with treating dental problems in children.